In March, I experienced losing one of the women that always came to the makeovers that my chapter held at the nursing home. When I had heard that she had passed away, I was incredibly sad. 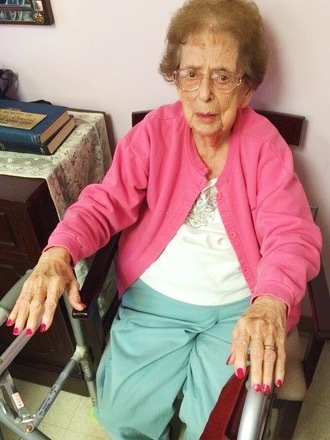 I had spoken to her only a few times while doing her nails, but those few times made a huge impact on me. She was an extremely happy and vibrant person. She always knew how to get everyone laughing. As the months went on and she wasn't at the makeovers, it felt as though something was missing. I hadn't realized just how much this woman had impacted my life until she was no longer there. GlamourGals is a club about teenagers providing company to the elderly in the nursing home, but that's not all. These elderly people can impact the lives of the teenagers just as much, if not more so. This woman in particular has been greatly missed by every member of my chapter. Rest in peace, Lois.